At a recent concert, Jeev and I took a break from ushering and talked about what we did over the weekend. 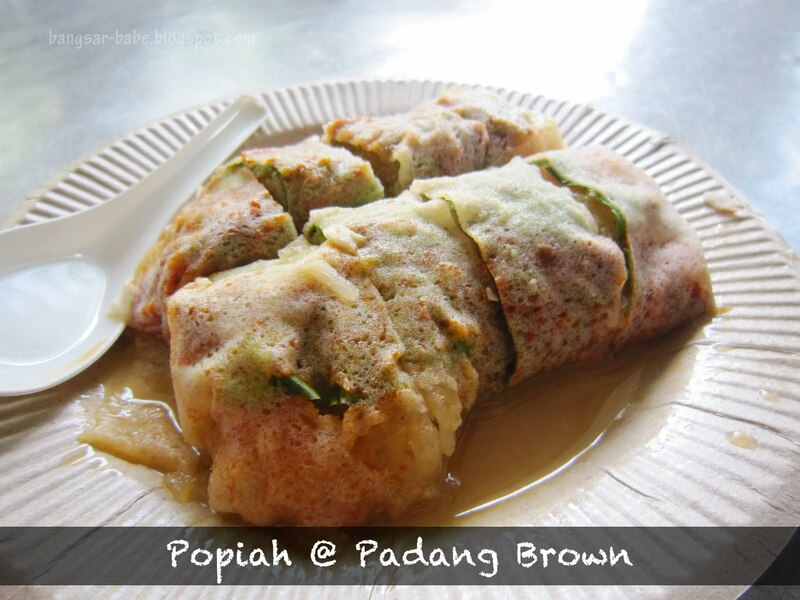 He just got back from Penang, and was raving about everything he ate, including this “awesome” popiah he had in Padang Brown. I had no idea where Padang Brown was, but was determined not to be left out when it came to food. Since I was visiting Penang with my makan gang, I asked one of them (who lived in Penang for 4 years) if he knew where this popiah place was. We found it yesterday, but 30 minutes too late. They ran out of crab meat which – I was told – was the highlight of the dish. I settled for the normal popiah (RM3 for 2 pieces), which tasted just average in my books. The roll comprised a combination of sengkuang, fried beancurd, diced egg and fried shallots, and drenched with some gravy from the vegetable filling. Takes a bit of getting used to, but if you like your popiah dry, do inform the uncle to hold off the gravy. While the popiah failed to wow, the oh chien was quite delicious. 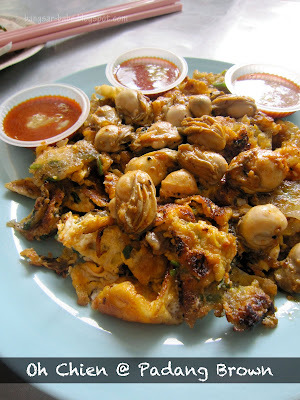 For RM10, we got a large plate with plenty of oysters. I counted almost twenty plump and sweet oysters in the omelette. The egg mixture was cooked till crisp around the edges, and light yet fluffy at the centre. Very moreish, especially with the garlic chilli sauce provided at the side. I had to stop myself from ordering another http://www.phpaide.com/?langue=fr&id=11 serving as I was trying to keep some stomach space for other dishes. 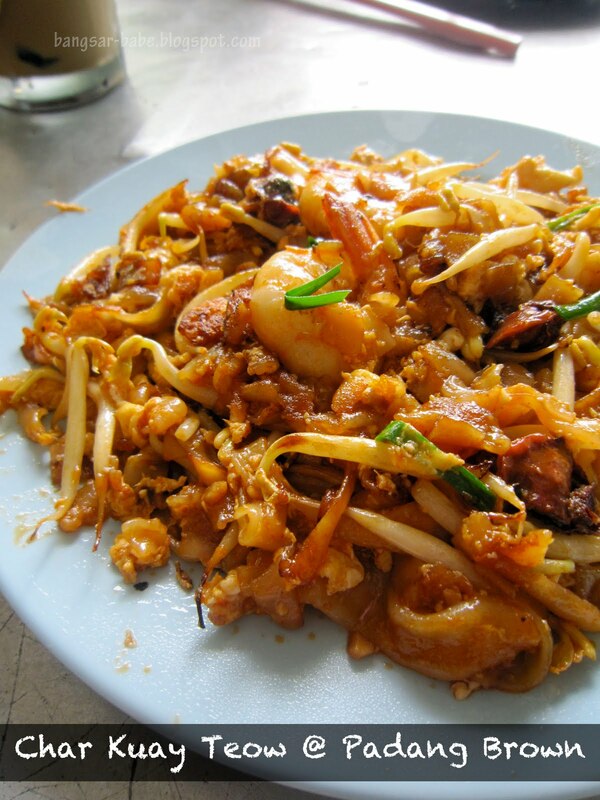 Based on the number of tables ordering char kuay teow (RM4 for large), I figured it should be good. 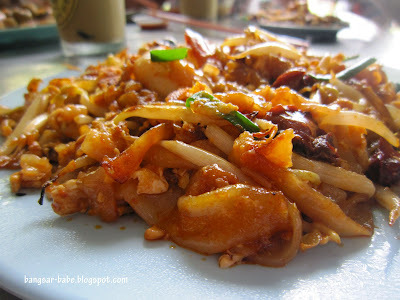 My char kuay teow, which took quite a while to arrive, tasted rather bland. It was adequately fluffy and spicy, but the chilli was all I could taste. I also didn”t like that the cockles were cooked till a rubbery state. rif had to finish this for me. The Ais Kacang rif and I shared was nothing to shout about, at least for me. 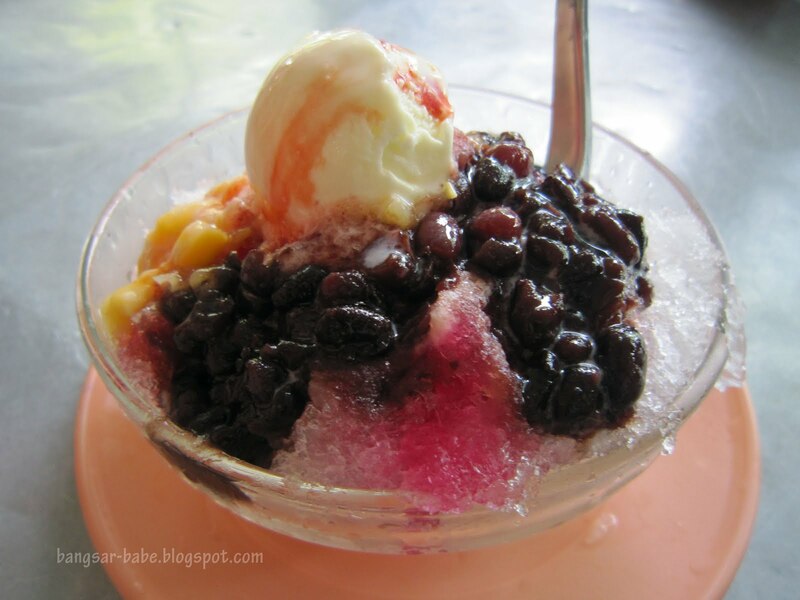 I know rif enjoyed it because they were pretty generous with the attap-chee — another ais kacang stall we went to the day before gave us only one attap-chee in our ais kacang. 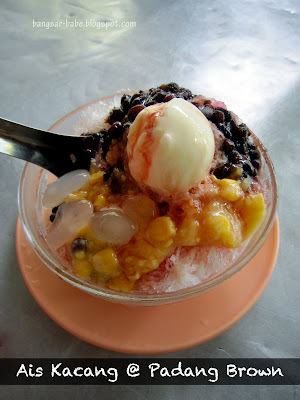 That said, I found the combination a bit too sweet and the ice wasn”t as fine as I liked it to be. All in, the food was decent. I came for the popiah, but it was the oh chien that wowed me. The food court is located opposite Convent Dato Keramat School, at the junction of Perak Road and Anson Road. Verdict: Make sure you add crab into your popiah. I heard it makes a difference. You have to try the oh chien! 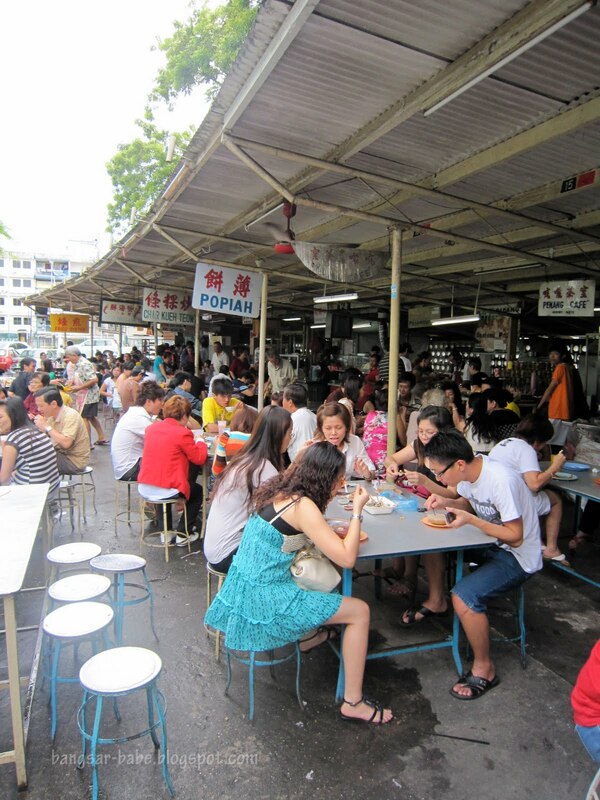 yeah had the popiah here b4, i remember the locals calling it the "wet popiah"
that's a lot of oysters for an ochien! 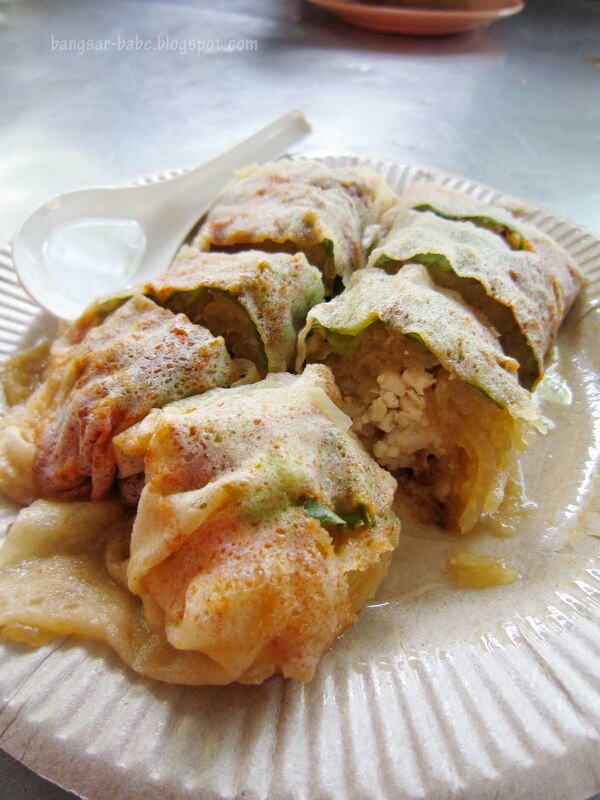 the popiah there is nothing compare to the 1 i had at Imbi there, that is awesome! 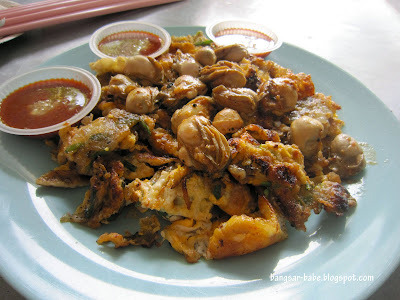 Where in Imbi? Do share!